Beautiful Lake Alice offers 1491 acres of endless fish hideaways. It also connects to the winding Wisconsin River allowing fishermen many additional miles of shoreline to fish. Both Lake Alice & the Wisconsin River are teeming with abundant Musky, Northern Pike, Walleye, Bass, Crappie, Perch and Bluegill. Recreational boaters have the most pristine areas to waterski, canoe, kayak or pontoon on the river and the lake. The public boat landing is very close to the resort. 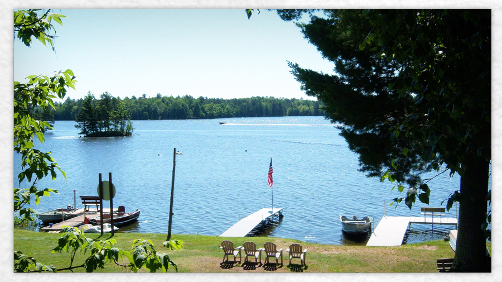 Come and enjoy relaxation and good fishing at Lueth Landing Resort on beautiful Lake Alice in Tomahawk, Wisconsin. Nestled in the Northwoods sits our resort grounds where boating, swimming, ATVing, snowmobiling, biking, hiking, snowshoeing, cross-country skiing, canoeing and many other enjoyable activities are taken advantage of. We offer sparkling clean cabins and well maintained resort grounds. 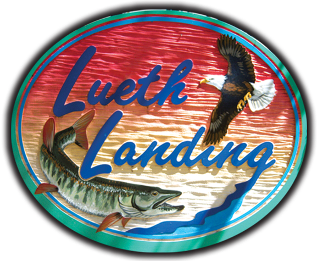 Lueth Landing Resort boasts big fish and relaxing environment year round!